Stocks have finished UP in a recent week. Nasdaq and S&P500 have actually their highest highs. 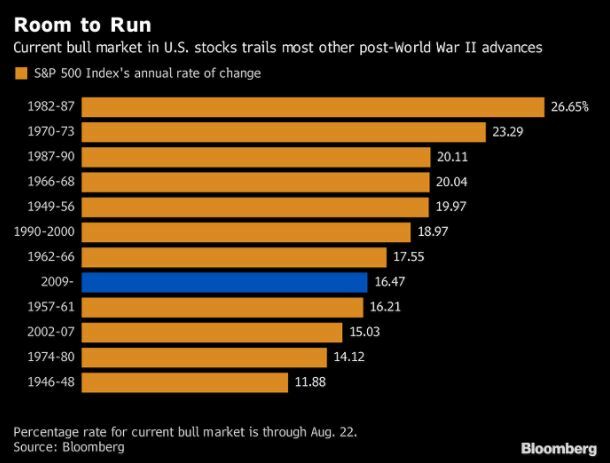 People are obsessed by the idea that this bull market must come to end very soon because it has almost 10 years and it’s just too long. The news is feeding us with different types of stories how this is going to stop now and the worst bear market in history is coming. Well, look at below study by Bloomberg. We are far away. 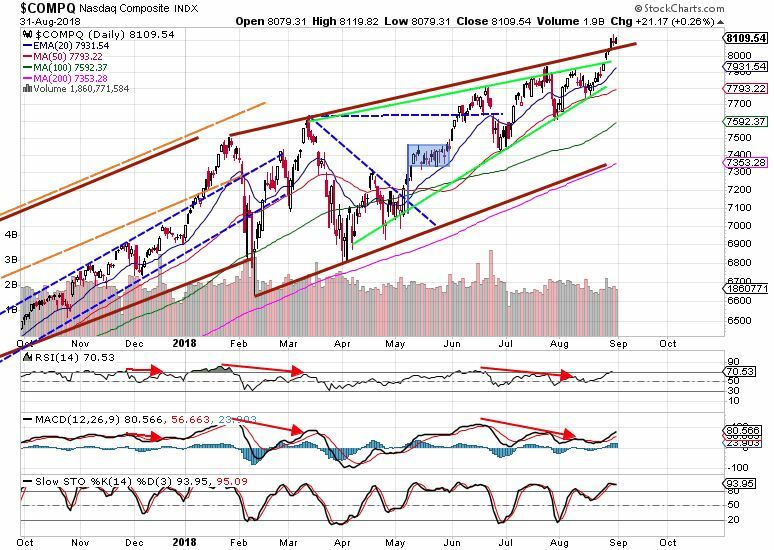 The earnings season was very successful, the macroeconomic environment is favorable and thus, the stock market has still a room to go. Of course there must be a stage 3 in the market cycle, however, it is just not yet now! 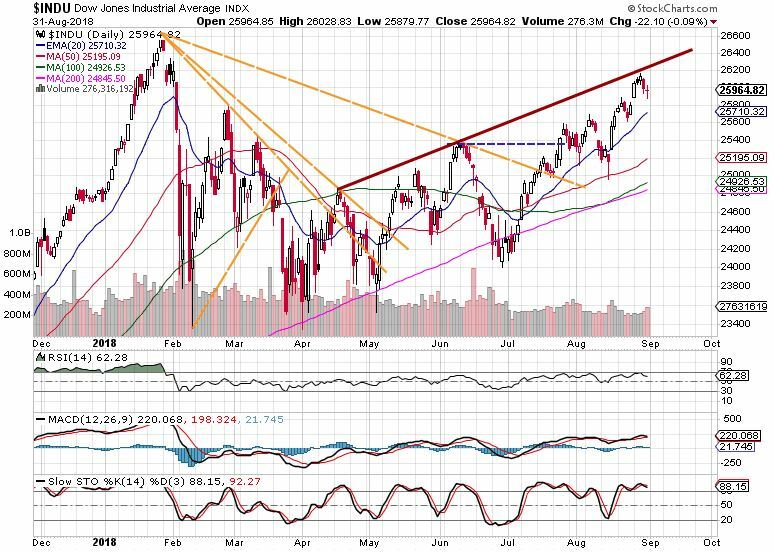 The index hit the outer trendline recording new highs. 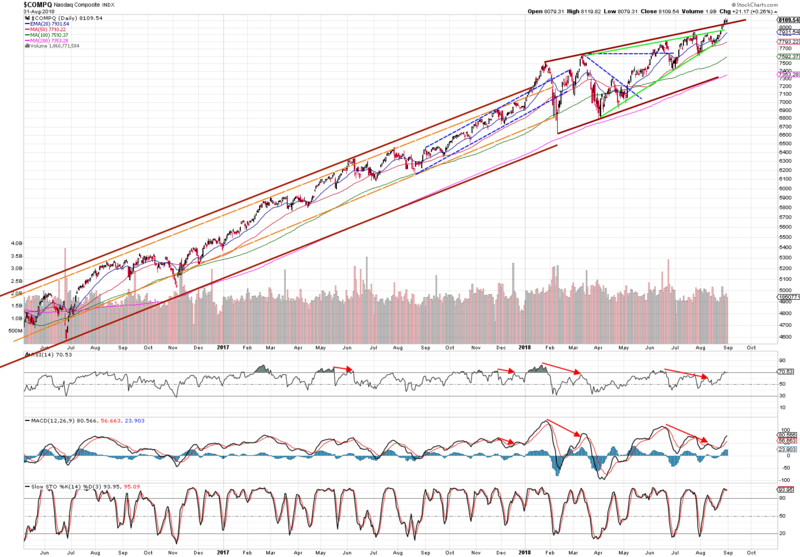 The RSI got overbought first time since February. Watch out for little consolidation towards 20 EMA before it goes up again. 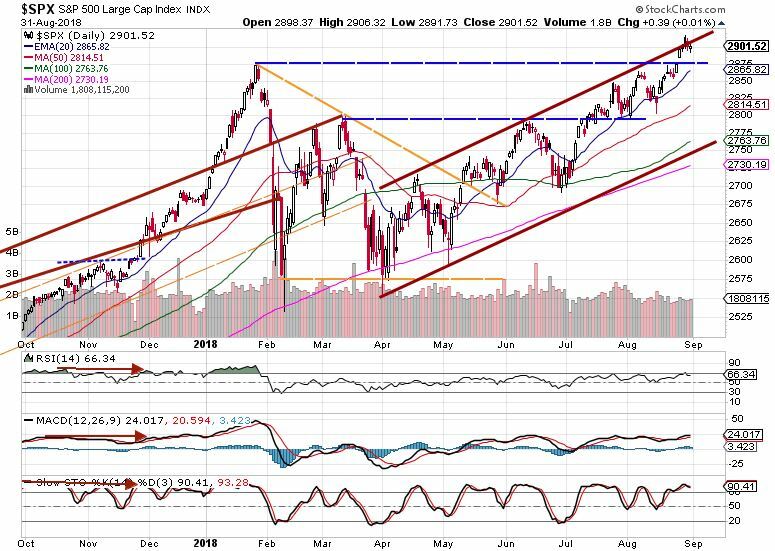 A top blue dashed line is a current support level. 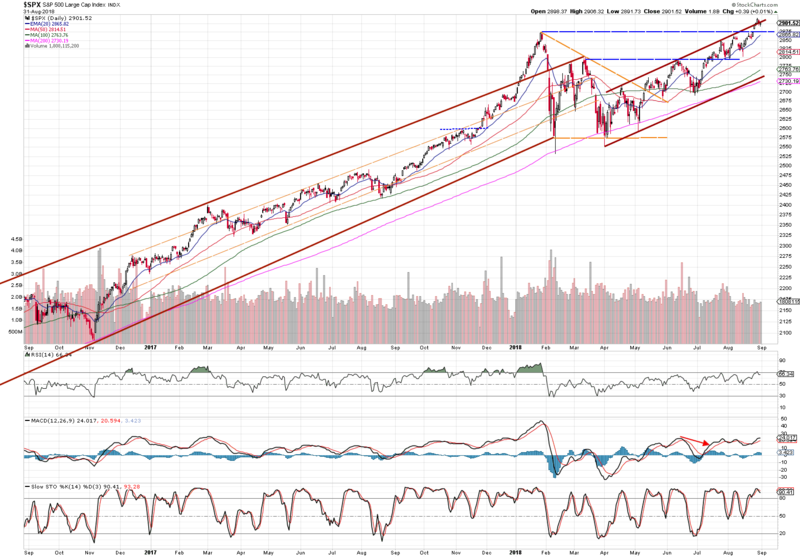 Nasdaq as leader outbroke the outer trend line. It likely going to slide this line until it meets 20 EMA. 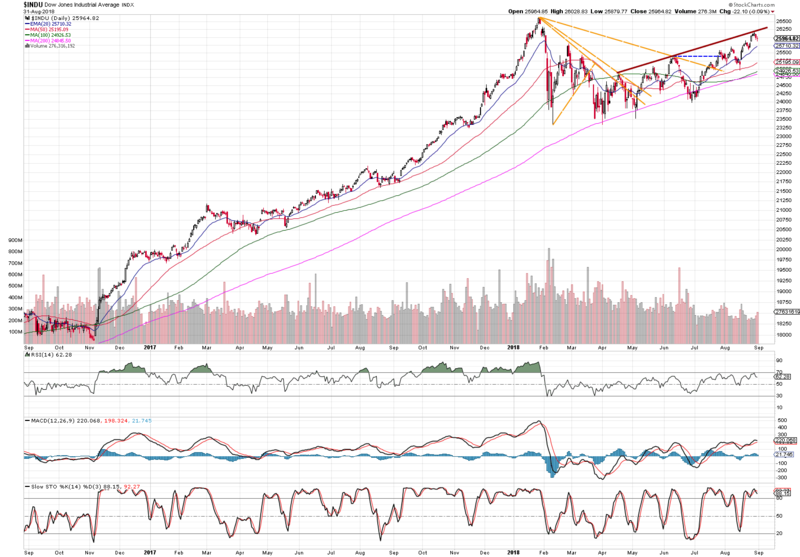 Dow Jones has a very similar story to S&P, it has hit the resistance depicted by outer trend line (red wide line) and now consolidates toward 20 EMA. UK’s index FTSE 100 is sitting on a very important support level. The Brexit problems are not helping. The US markets are certainly in trend and the rest of the year is likely to be going in a positive directory.